Toyota, Ford and FCA/Jeep® all made major announcements concerning their off-road capable vehicle lines. 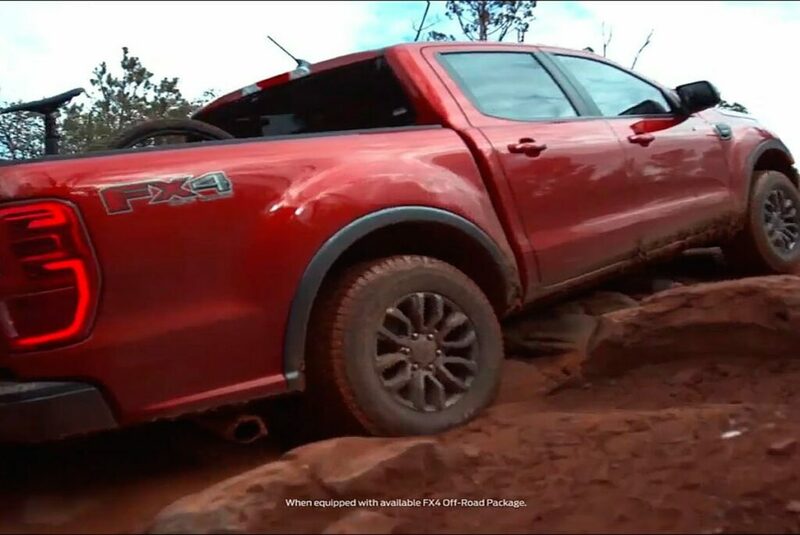 Toyota announced that three vehicles would receive “the TRD touch” in what the company calls an “off-road initiative.” Ford announced the return of the midsize Ranger and FCA/Jeep made several huge announcements. 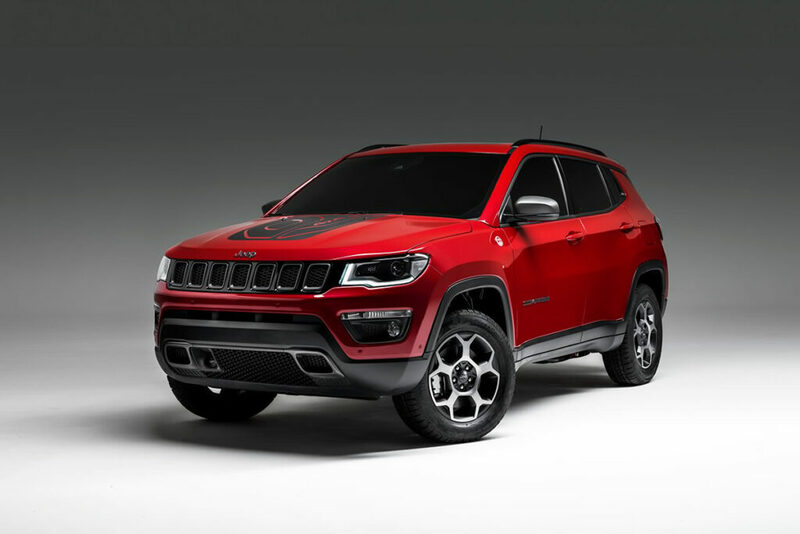 Of the three major truck brands making big announcements recently, FCA/Jeep® made the most announcements and the single biggest announcement of the year so far. 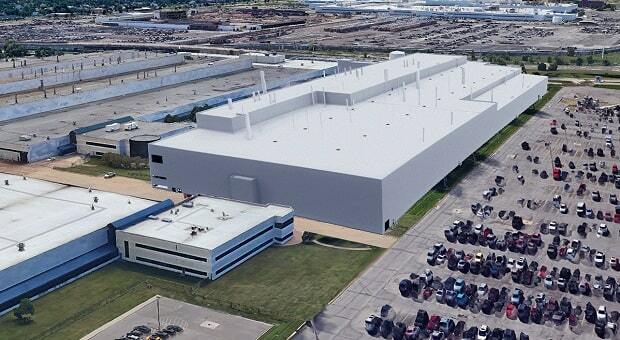 FCA/Jeep® plans to invest $4.5 billion to expand several plants in Michigan. This investment is expected to create 6500 new jobs and will increase and/or move Jeep® vehicle production. 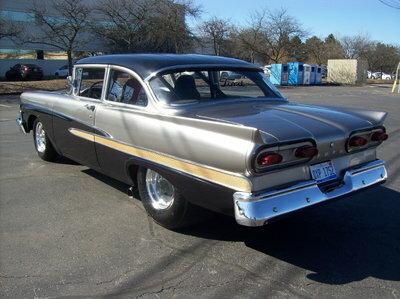 It will also go towards electrification of new Jeep models. 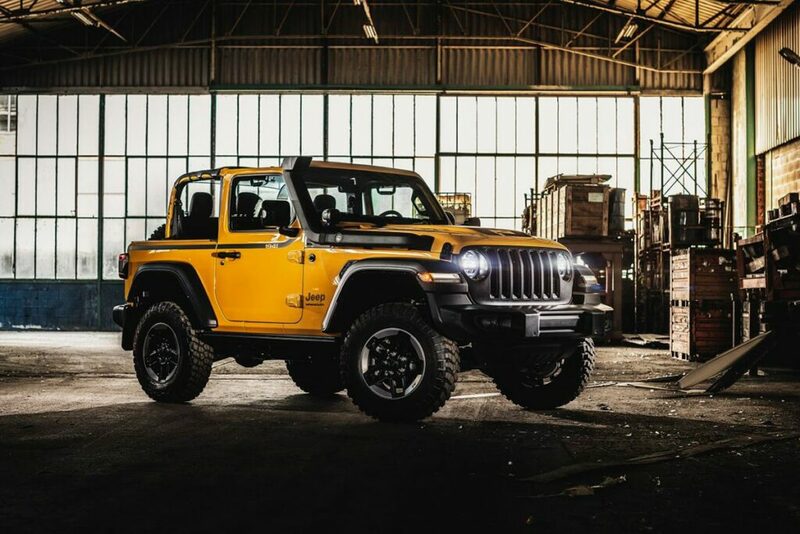 Jeep also announced that the all-new 2020 Jeep® Gladiator will compete at this year’s Every Man Challenge at the King of the Hammers desert race with Robby Gordon and Erik Miller handling driving chores. Jeep® introduced their E-Volution line at the Geneva Auto Show. These are electric models of the Renegade and Compass. Another Geneva reveal for Jeep® was the Wrangler Rubicon 1941, a Wrangler version designed with performance input from Mopar. Toyota recently affirmed their dedication to continuing their dominance of the sport utility/off-road pickup segment by announcing plans to give several models a new set of “TRD treatments.” These will be both aesthetic and performance treatments. 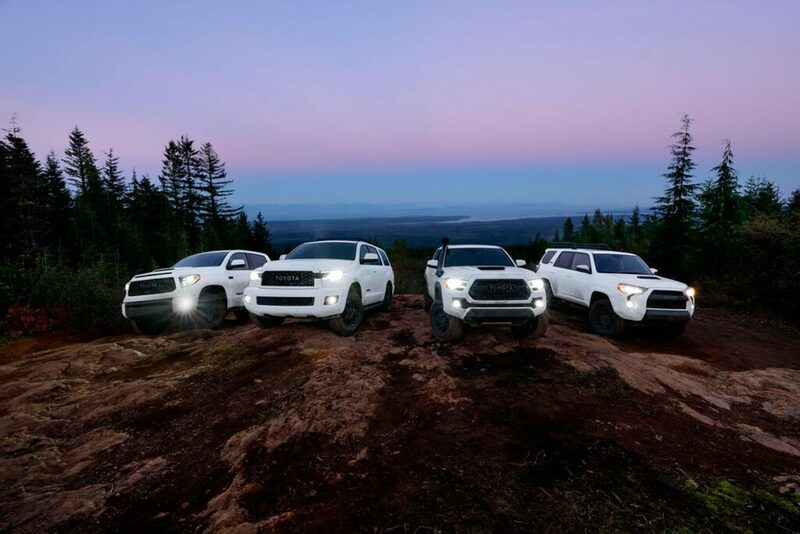 These models are the Rav4, Tacoma, and Sequoia. The 2020 Sequoia family will receive a comprehensive TRD Pro Design and Equipment update, including an all-new audio system with Amazon Alexa, Android Auto and Apple Carplay compatibility. It’s also going to get an updated 381 HP 5.7 L V8 and standard Toyota Safety Sense. One of the off-road upgrades it will receive is a Fox Shocks high-tech suspension. The 2020 Toyota Tacoma is also going to receive a number of TRD upgrades, including the audio package listed above and an optional eight-inch touchscreen. The Tacoma will also receive technical enhancements including Toyota’s Standard Panoramic View (PVM) and Multi-Terrain Monitor (MTM) systems. 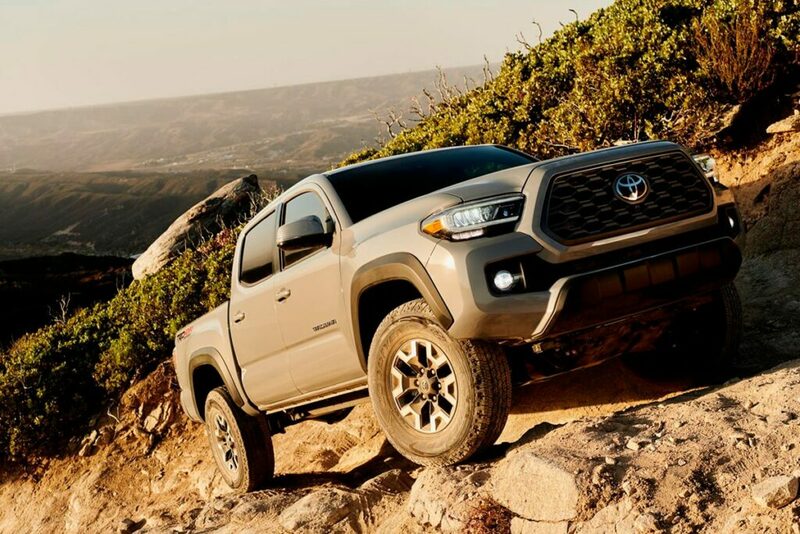 Each of the various Tacoma trim options will come with their own TRD off-road updates including grille designs, lights, fog lights, 10-way power seats, Crawl Control, Hill Assist and more. Toyota’s sporty Rav4 will also receive a number of presents from TRD. One of these is the new TRD Off-Road Suspension, which was inspired by the Toyota Rally Rav4 race team. 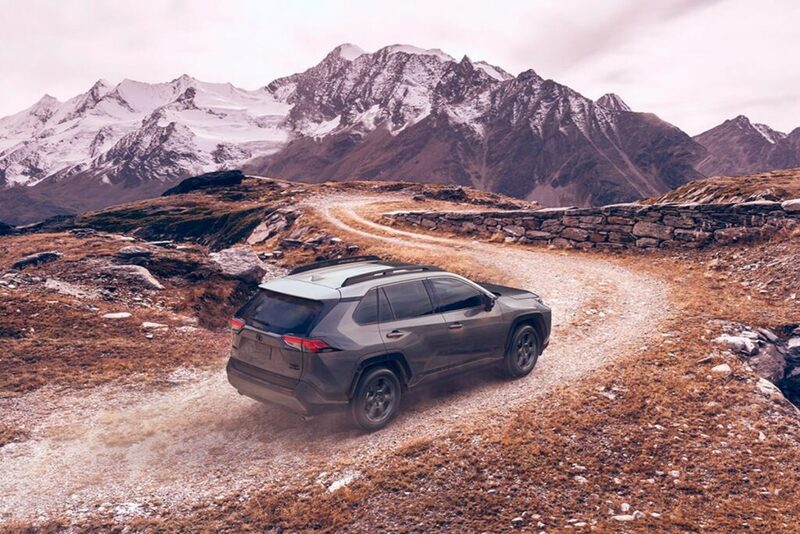 The 2020 Rav4 will also be equipped with standard Dynamic Torque Vectoring All-Wheel Drive and Falken Wildpeak A/T Trail All-Terrain tires on TRD 18-inch Flow-Formed matte black aluminum wheels. Other off-road enhancements include Trailer Sway Control (TSC), Downhill Assist Control (DAC) and a rock and dirt mode for the suspension.